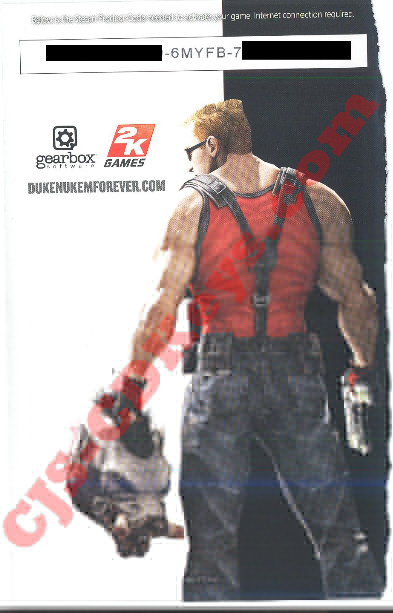 This product is a unique and unused Duke Nukem Forever Steam CD Key (scan of the cd key from original DVD box). You can activate and download the game on Steam! This game is in stock now ready for immediate delivery!! You can pre-load the game on steam, download, and play! CLICK HERE TO BUY NOW JUST 26.63 EUROS! You can enter this activation code into the Steam client, which will then grant you to a full and legal download of the game! This game can be activated from any region, and includes all languages except german. These keys are sourced from within the EU from authorised distributors!